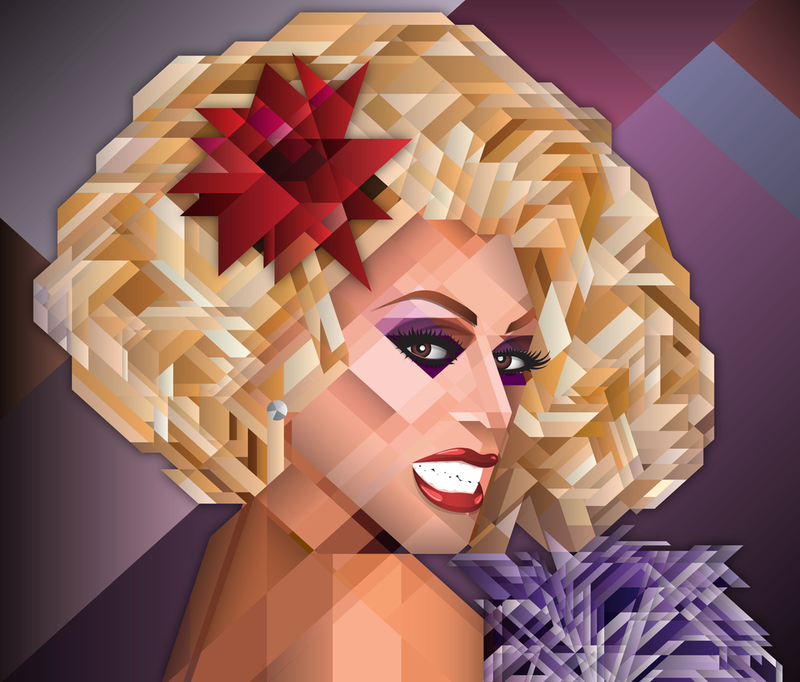 Diamond Realness - Submission for RuPaul's Sickening Fan Art Contest. 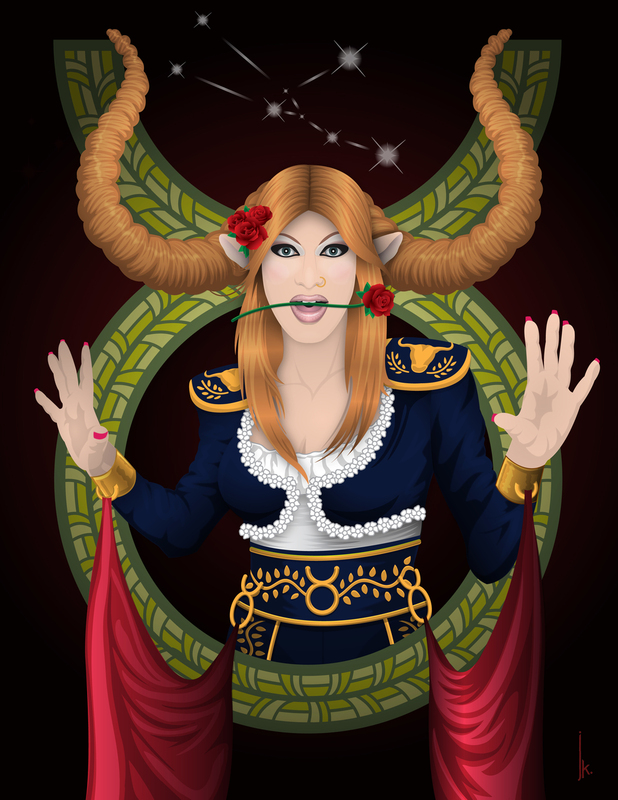 Pandora Boxx as Lady Taurus - The only completed piece of a planned series that conceptualizes each of the Drag Race All Stars competitors as a zodiac sign. In this drawing Pandora is channeling both the bull and the bull-fighter. Meeting Pandora - I think Pandora was a bit disappointed that she wasn't in the Disney series because she mentioned that she'd love to be Ariel. Perhaps if I ever do a Princess drag series... I don't know though. I find villains more interesting. Taking the villains from the show and turning them into Disney Princesses would be more interesting. Still, she did write "Raspberries" on my print so at least one of us was happy. Willam as Emma Frost - X-men's chilly psychic beauty mashed with notorious Drag Race competitor, Willam Belli. 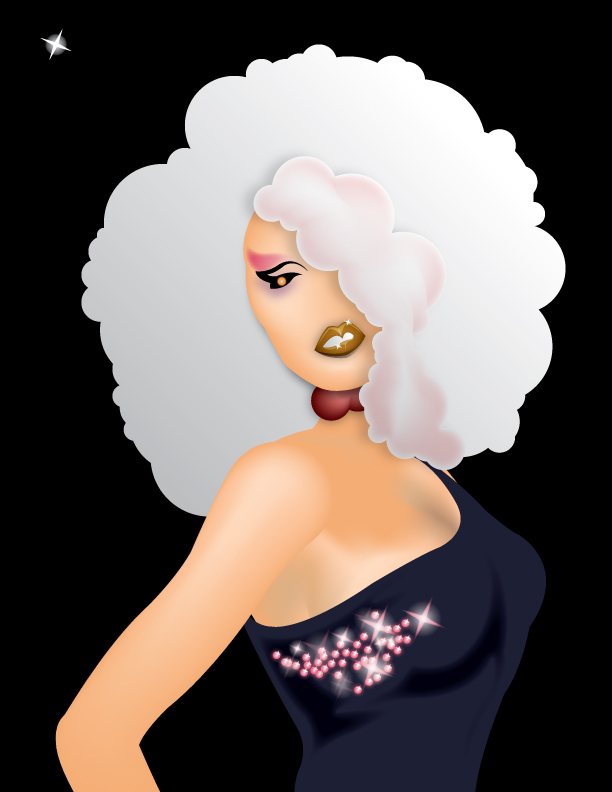 Alexandra St. James as Storm - Alexandra is a drag queen and friend who asked me to draw her as X-Men's Storm. TOP ROW (left to right): Bianca Del Rio (as Judge Judy); Raja Gemini (asTyra Banks); Willam Belli (as Jessica Simpson); Stacy Layne Matthews (asMonique). MIDDLE ROW: Sharon Needles (as Michelle Visage); Adore Delano (asAnna Nicole Smith); Jinkx Monsoon (as Little Edie); Alaska Thunderfvck 5000 (as Lady Bunny); Roxxxy Andrews (as Tamar Braxton). BOTTOM ROW: Pandora Boxx (as Carol Channing); Alexis Mateo (as Alicia Keys); Ben De La Creme (as Maggie Smith); Tatianna (as Britney Spears);Chad Michaels (as Cher). Blood Triangle - fan art based on one plot line from American Horror Story: Coven. It's a bit complicated to explain fully, but an act of revenge/justice has taken place here and the bloody face painting is symbolic of that act. Octavilani - Design progression for this piece of fan art, based on a character from D.O.T. (Defender of Texel), pictured below. Part human, part spider, part Earth Guru, this dungeon hero has the ability to raise the earth to attack 3 foes at once.